The Finnish Association for Environmental Health, SYTe, starts measuring infrasound from wind turbines throughout Finland. The purpose is to find out how far the infrasound, regular sound pressure pulses, can be measured from the wind power plants. There have been a lot of changes in the health of the Finnish population in recent years, which might have been caused by infrasound from wind turbines. There are indications in many studies that the infrasound disturbs people’s sleep among other things. This may increase, for example, fatigue and health disorders. The purpose is to measure the infrasound levels and propagation around Finland from the latitude of Rovaniemi to southern Finland. It has been found out in an American study that the infrasound propagates at least to a distance of 90 km. This study was made about smaller wind turbines than the ones in Finland at the moment. There has also been and will be soon published studies about the harmfulness of the infrasound. It has already been made clear by research that the human responds to inaudible sounds. SYTe contributed by its part to the financing of the simultaneous measurement by several measuring devices in Ostrobothnia in October 2017. On the basis of these measurements, it seems obvious that the infrasound pulses from large wind farms, such as Santavuori in Ilmajoki or Torkkola in Vähäkyrö, Vaasa, can easily be found in measuring results even 50 km away. The results of the measurements with explanations are presented on the homepage of the company providing the measuring technology. The erection of new wind power plants seems systematically to increase people’s symptoms, even though they do not necessarily combine their symptoms with the wind farms. SYTe carried out an interview of about 200 people in a pilot study in the spring 2016. In this study, it was found out that within six months of the erection of wind power plants new symptoms arise most 5–15 km from the wind turbines. The most significant symptom was sleep disturbance or changes in sleep rhythm and musculoskeletal symptoms. The onset of symptoms tripled in the risk area. Of these, one third had serious illnesses or the symptoms caused a clear deterioration in working capacity. It is important to investigate the propagation of infrasound from wind turbines, because the assumption that the disadvantage of the power plants would be the greatest in the immediate vicinity, can be a major mistaken conclusion. If the infrasound from large wind power plants propagates far, its significance for the health of the population must be investigated. 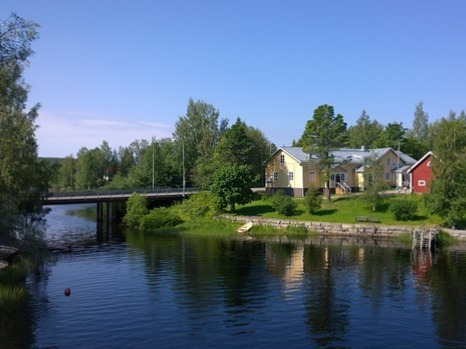 Julkaistu huhtikuu 14, 2019 kategoriassa blogi avainsanoilla environment, Finland, health, infrasound, kirjoittanut SYTe.